It works seamless and smooth. Easiest BC checkout i have ever used. 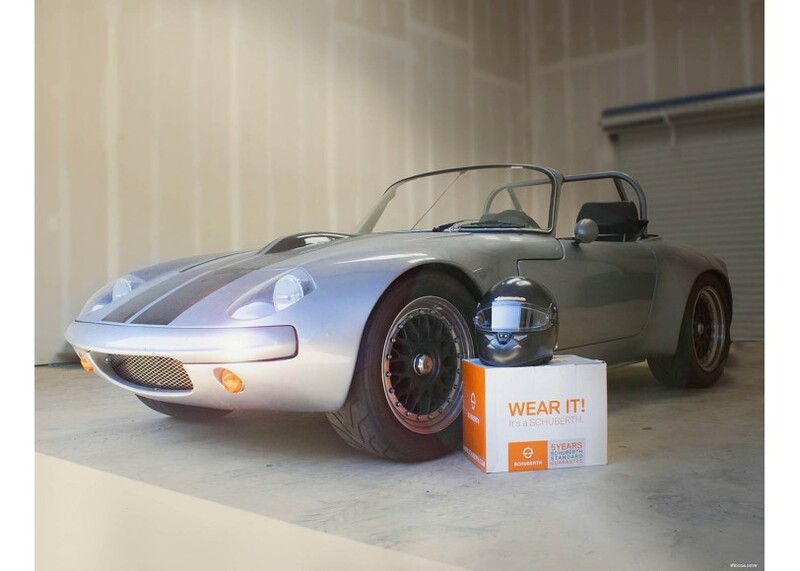 "WEAR IT! It's a SCHUBERTH." 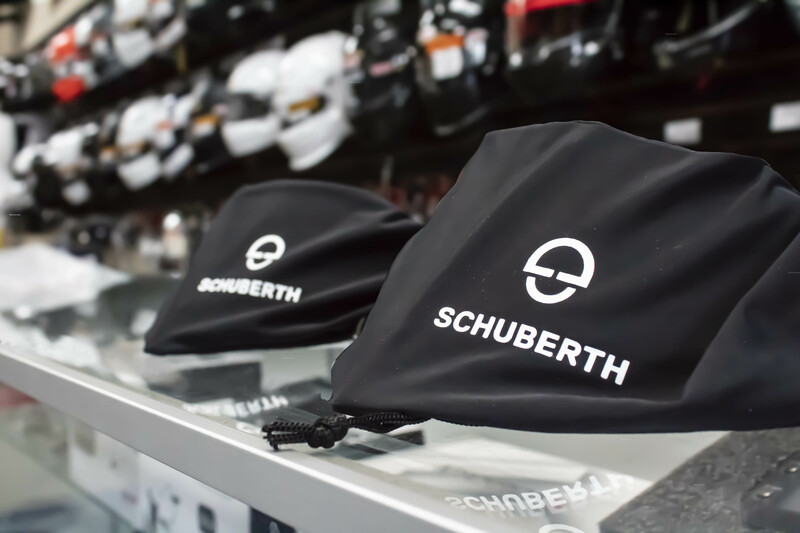 Schuberth insist through its packaging that it is worthy of your attention. 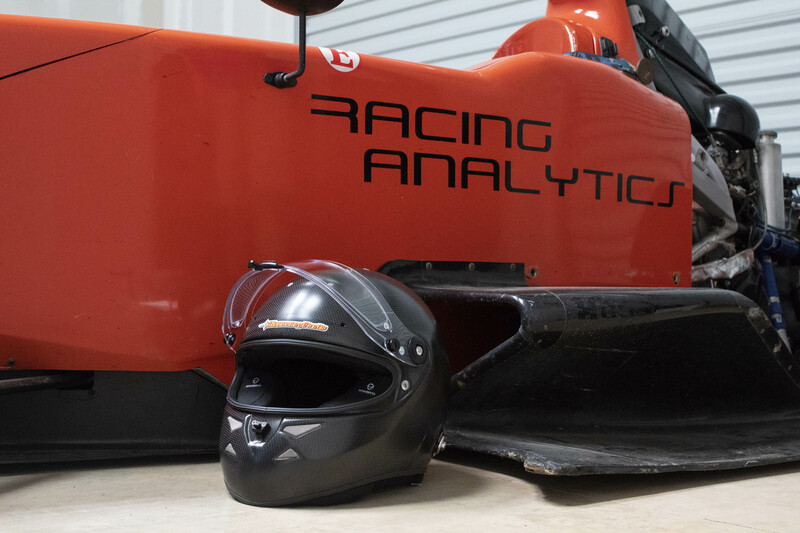 But why would I want to put this $4,795.00 helmet on my head when the safety experts have decided previously that the trusty Bell M.8 Carbon, the Roux Composite, or most commonly, the Stilo Carbon are just fine? Let's crack open this bossy, brightly decorated box and find out what's so special about the Schuberth SF2 Pro 8860 Carbon Fiber helmet. I'm going to cut to the point with this one - open cockpit cars. In really intense high-speeds, every little detail, every feature is important. "In higher ranking racing like F1, every detail matters: every hundredth of a second, every gram of weight." Unless you have the neck and shoulder muscles of the Hulk, you're going to need some support and aero to keep your head up when 70+ mph winds hit you straight in the face. And honestly - I saw Infinity Wars - even the Hulk can't depend 100% on physical strength. Tony Stark's robo-Hulk suit - that is the SF2 Pro 8860. Not to mention, even if you can hold your head up, you're going to struggle to focus on driving and resisting the impact of the wind at the same time. Schuberth created the SF2 Pro 8860 specifically for big-boy racing. If you've read any of my previous articles, you know we're partial to F1 and see it as god-tier racing status. This helmet was created to compete with the Arai GP6-RC and Stilo 8860 in the big leagues. If you just want to be fancy and you have extra cash lying around, then by all means, purchase the SF2 Pro for your weekend track day extravaganzas. 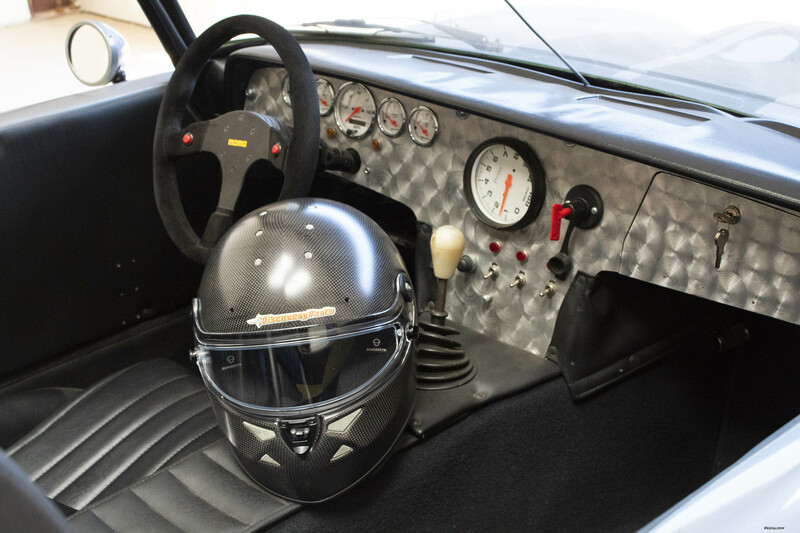 But it was designed specifically for high-speed, open cockpit racing. 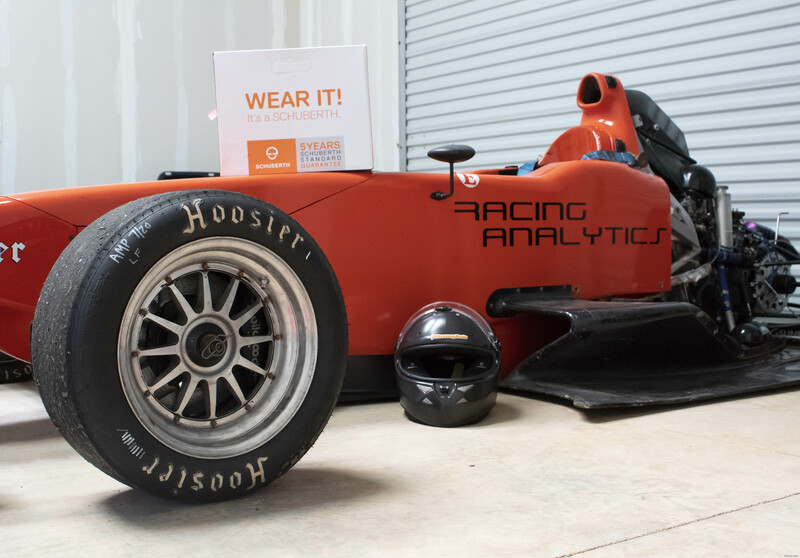 Another thing Schuberth is very proud of and they mention over and over again on their website is that "F1 racers swear by us". If Schuberth has specifically created a helmet for the most intense speeds with the best aerodynamic design, then I hope F1 drivers would swear by it. Schuberth isn't a newbie to racing - they've been around for a while and there are many years of research behind the SF2 Pro 8860. Plus, this helmet is wind tunnel tested and FIA approved as well as lightweight - killing all the birds with one stone. There are a few really good open cockpit racing specific helmets on the market. What makes the Schuberth SF2 Pro 8860 "new and improved"? 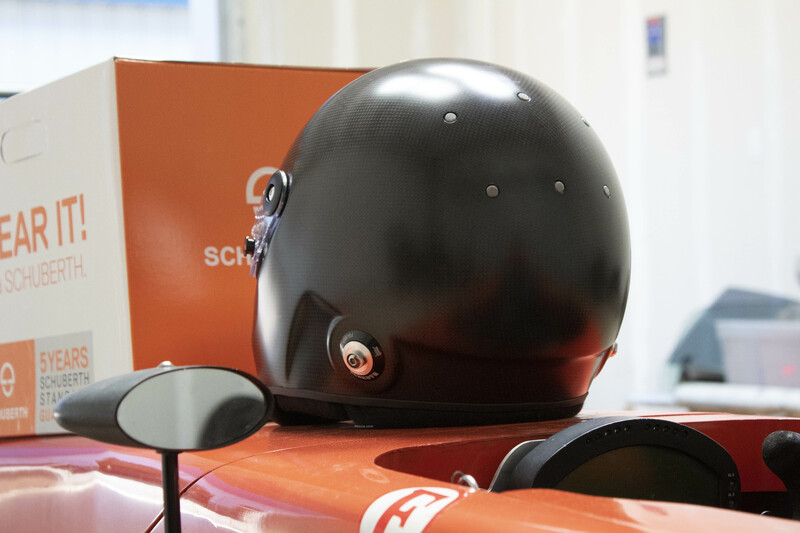 Well two things: 1) This helmet has the best ventilation and natural cooling system on the market 2) Schuberth.com claims to be one of the lightest auto racing helmets in the WORLD. That's a BIG claim. The best ventilation and natural cooling system on the market? To simplify, that means breathability. The padding and liner, similar to other brands, are completely customizable but there's a twist! The cheek pads are slimmer to allow more negative space for air flow around the middle and lower face and there are channels in the crown of the helmet for wind to blow through. Think about when you're walking around in the summer heat with a ball cap on. Even though the purpose of the hat is to keep the sun out of your eyes and to keep your face cool, everywhere the hat touches your head, you sweat. 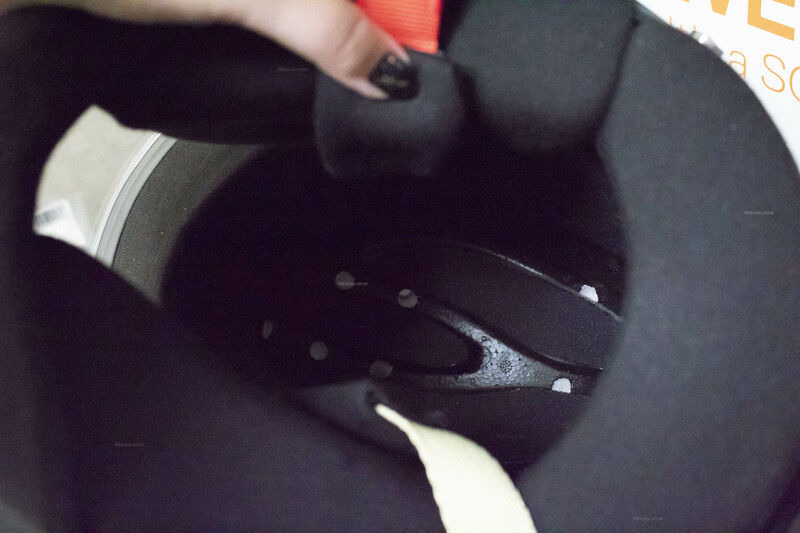 Inside the SF2 Pro 8860, there are purposeful gaps where your head will not make contact with the helmet enabling cool air to pass through the vents and into the helmet to caress and cool your face and head. This is natural cooling. 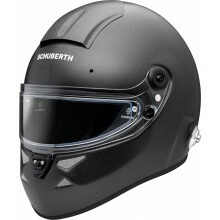 I know there is no such thing as too much ventilation when it comes to any race wear, but gosh did Schuberth try! All together there are 18 vents, 12 air inlets and 6 air outlets to circulate up to 14 liters of air at 62 mph. That's a massive amount of breathability in a helmet. Just looking at it, it looks bulbous and kind of fat. But the aero design of the stock (without attachments) helmet forces the air through the helmet, around the face and head, and out the back outlets, eradicating any lift that another less ventilated helmet would have - making this the most aerodynamic helmet Schuberth has ever made. So, it's not about the wind going over or around the helmet or it looking thinner and wind-cutting (think Roux) but it's about how the wind goes through the interior of the helmet. This design is advanced and relieves some of the strain on the head and neck muscles. Though the interior is detailed, the exterior of the helmet is pretty neat as well - composed of an aramid hybrid carbon composite. This material is flexible and shock absorbent. 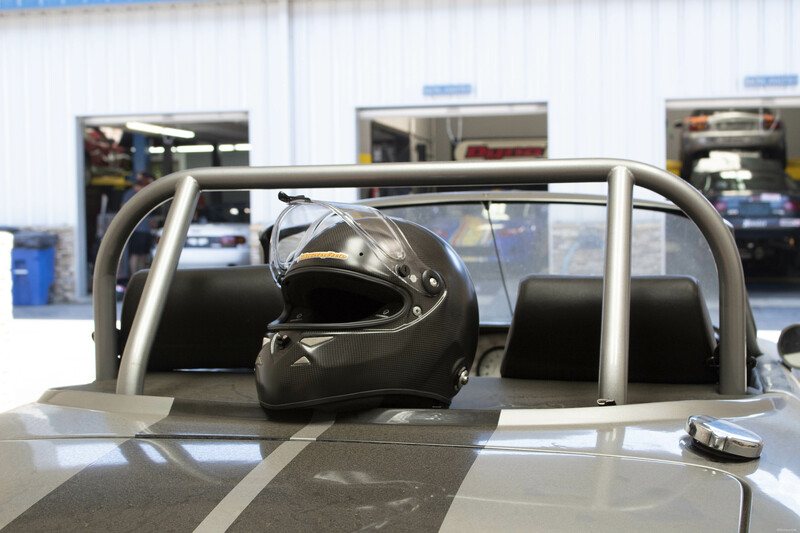 Schuberth claims that it's sturdy yet flexible enough to stabilize vibrations or damaging forces upon impact. In short, that means it will protect your noggin not only from instant impact but the vibrations that follow. But wait, there's more... 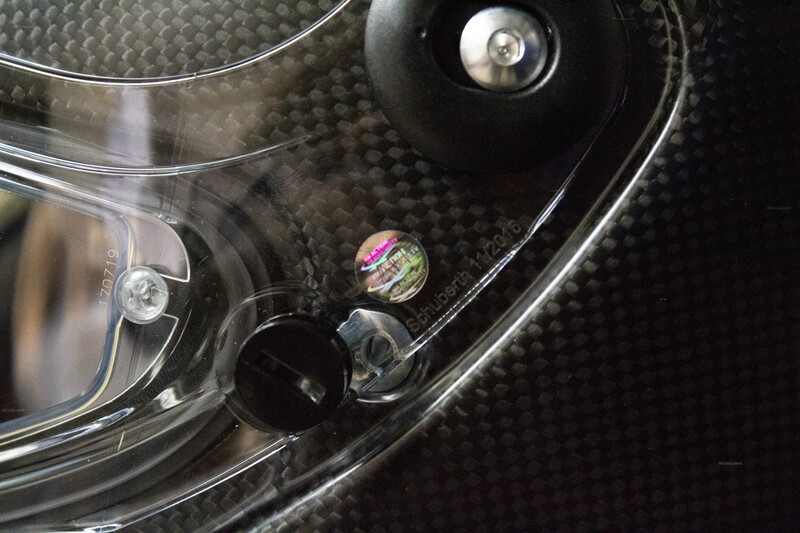 The interior also features "integrated cable ducts" so that the driver or passenger, whoever is wearing the helmet, can communicate wirelessly to the intercom box. Also everything on this helmet is either Nomex or Kevlar. You can rest assured that this helmet won't melt on your face. Okay... so a feather might be pushing it. 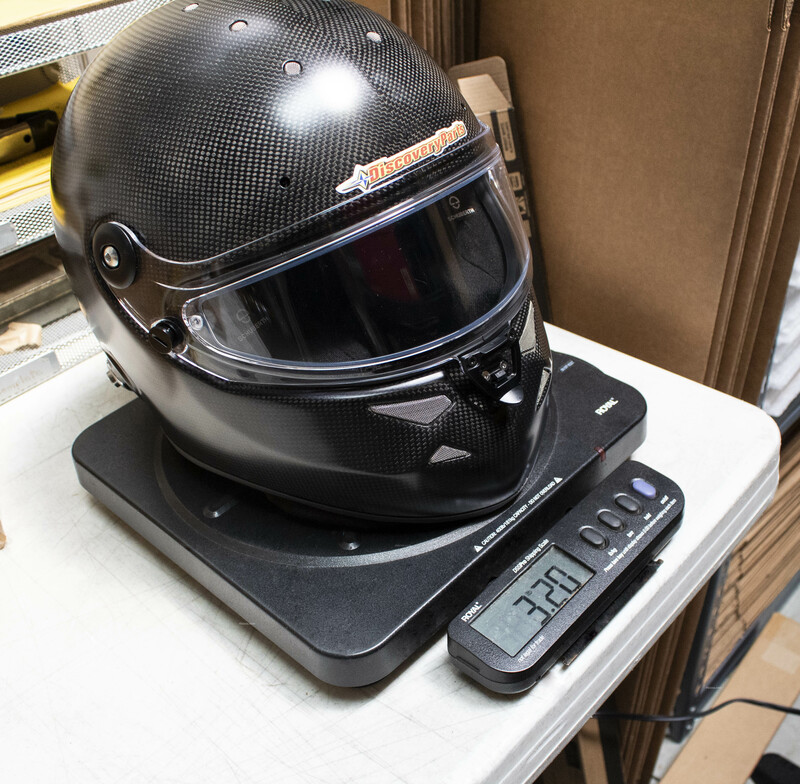 But the SF2 Pro 8860 is actually really light weight, weighing in at a Schuberth claimed (www.schuberth.com) 1150 g or 2.53 lbs. We weighed a size 57 (medium) and our trusty old shipping scale reads 3.2 lbs. 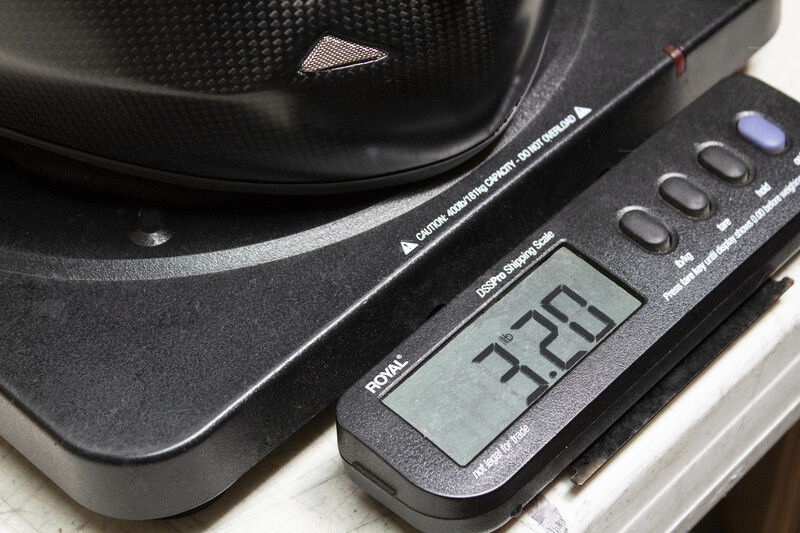 The lightest weighing Stilo is the ST5FN Zero 8860 comes in 2 shell sizes, the small weighs 1130 g and the large shell weights 1230 g that includes an intercom (variance of +-30 g) as they are all hand made by artists, so Schuberth is now real close to the incredibly popular and best selling Stilo ST5 GT ZERO 8860. I've done my research and I honestly can't figure out where they cut the weight that other brands have tried so hard to do before them. I assume that all of the negative space for air flow accounts for missing materials, kinda like when a racer strips the passenger seat and carpet out of a street car to make it into a track car - weight reduction, bro. But even if I did figure exactly how they did it, they'd probably kidnap me and force me to swear to secrecy because they don't want other brands to catch up with their technology. Can't teach an old dog new tricks? Sure you can and his name is Schuberth the friendly shorthaired pointer and he's learned a new trick that the other dogs on the block can't master. This is one of the attributes that make the SF2 Pro 8860 special. Sure - Stilo, Bell, Roux, Arai - they all have cool visor options and you'll find that most car guys are as brand loyal with helmets as they are with car manufacturers. As I or a colleague of mine reaches for a helmet off the display for a customer to try on, we hear the same phrases day after day. Their favorite brand helmet has the best everything and it's been around for ages and it's trusty and it's - blah blah blah. Some of what they say is true but to someone who works with so many different brands on a daily basis, it's bias. But because I am not a "car guy" and have no partiality to any brand, I'm as honest a journalist as you're gonna get. And what I'm seeing when I hold these visors is that they are pretty rad. For one, they're beautiful. We unwrapped these babies and everyone in the store stopped what they were doing to put their fingerprints all over the shiny poly-carbonate, bullet-proof lenses. They're 3mm thick and - get this - they're FIA approved dual lenses. This means that tucked away inside the bigger, most outer lens is another lens that is smaller. This makes a world of difference because it's stronger, once again specifically aimed for open cockpit racers that might encounter flying objects speeding toward their faces while on track. And it eliminates fog. 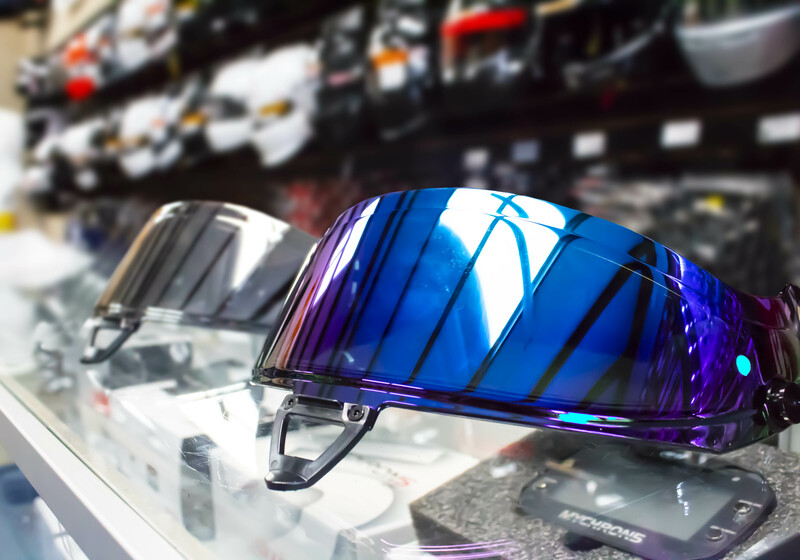 When you purchase a Schuberth SF2 Pro 8860, it technically comes with three visors: the clear standard visor (0% tint) that is attached to the helmet itself, one (50% tint) medium smoke shield and one (80% tint) dark smoke shield. 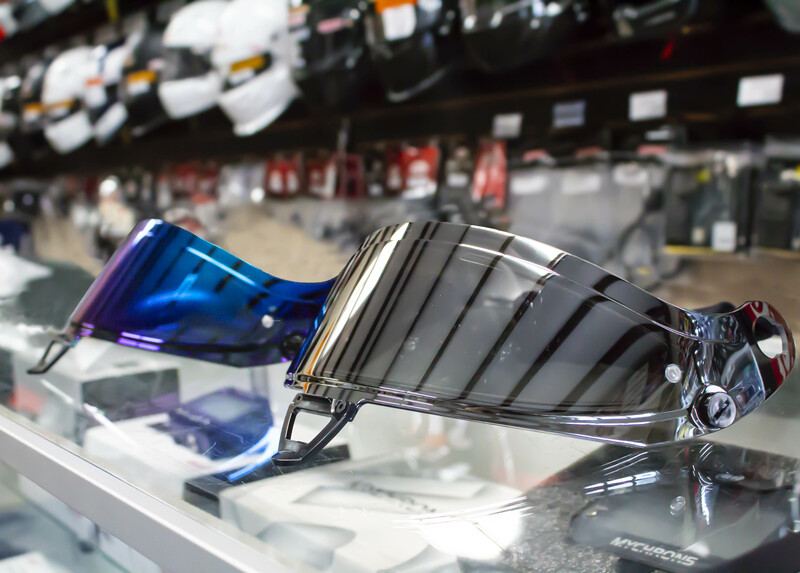 But there are many more options you can purchase separately for your helmet. For mirrored options there is: blue iridium medium (50%), blue iridium dark (80%), red iridium medium (50%), red iridium dark (80%), silver medium (50%), and silver dark (80%). Single-lenses are available from the manufacturer for closed cockpit cars but they're not very popular compared to these dual lens bad boys. One more cool feature of the Schuberth SF2 Pro 8860 lens is the "two-step, one-way lock". Something comical occurred when we first received the pilot SF2 Pro - nobody could figure out how to open the visor. We all just stood around looking stupid as we passed it from one to the other trying to pry the lens from the base of the shield and we finally just accepted that it required a lot force to open and close. After consulting the instructions online we learned that you have to push down on the top of the bracket while pulling up on the bottom. And with a soft "click" it opened so easily... a Miata driver could do it! The fastener is located dead-on center of the visor so it always seals symmetrically and perfectly. Click it once for a slight opening, twice to open it all the way. 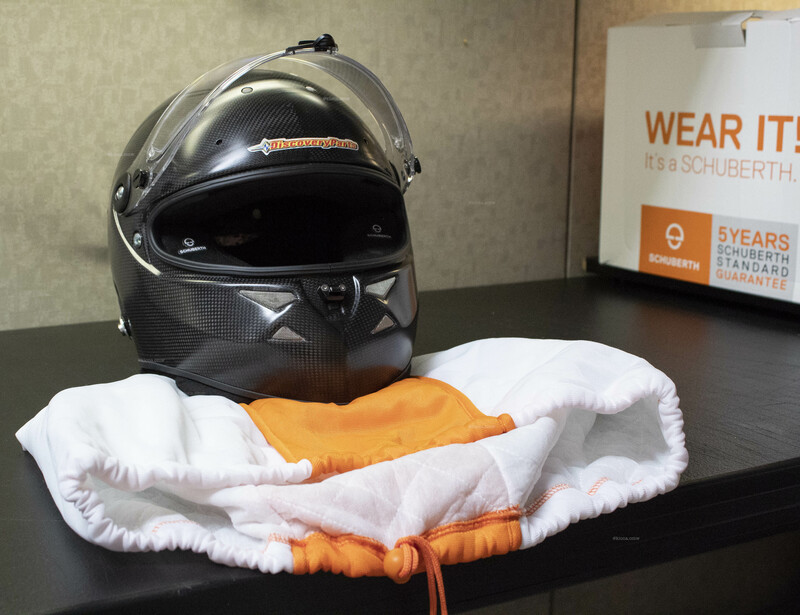 The sheaths of the visors are soft inside, as is the Schuberth helmet bag. Both of these can be utilized to clean your Schuberth SF2 gear. Give your helmet a rub down while it's still in it's neon bag and it will come out shining. 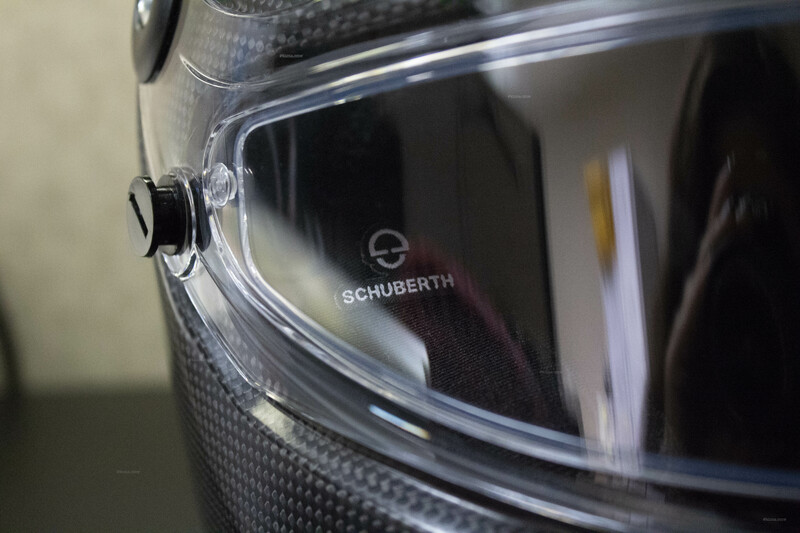 In addition to the interior being the aerodynamic system of the helmet, Schuberth challenged themselves to go further and make exterior attachments for even more aero. 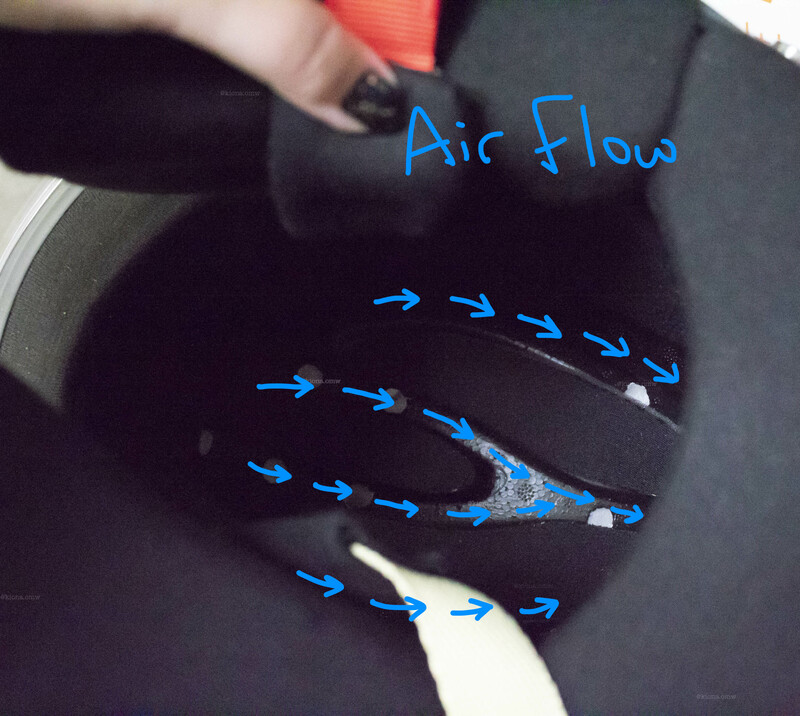 On our website Discoveryparts.com, you can order custom attachments to make air flow over your helmet in whatever way you want. 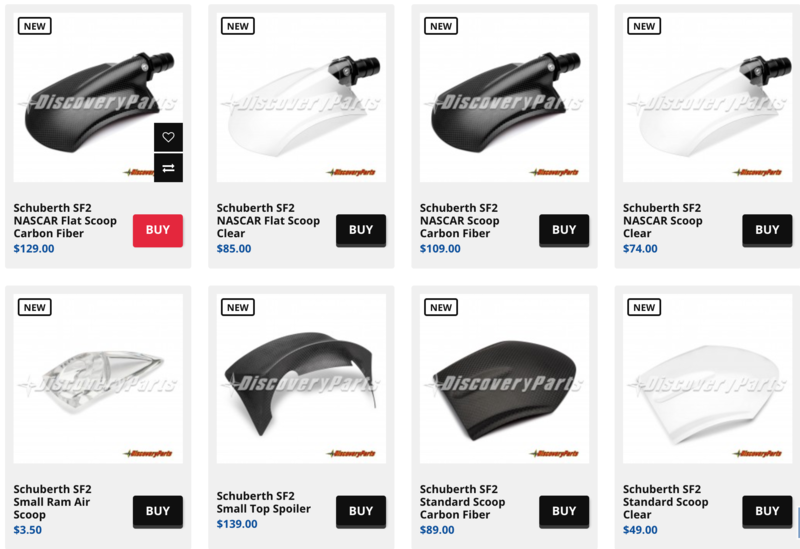 Some of the options include: NASCAR scoop, NASCAR flat scoop, standard scoop, small ram air scoop, and the small top air spoiler. Most of these attachments come in carbon or clear impact plastic. The most common question buzzing around our office at DiscoveryParts is "But is it worth 5k?" Honestly, only time will tell. And maybe ask a Formula driver who swears by it. It's a brand new product and it has a lot of complex cool features, but how does it hold up with time? If the weight of your helmet is a thorn in your side or you own a quick open cockpit race car, then the Schuberth SF2 Pro 8860 helmet is definitely worth trying on. Personally, I think the flashy, bullet-proof dual lenses are enough to make me want one! The Schuberth SF2 Pro 8860 Carbon helmet sounds like the kind of helmet a real pro would wear.